Accord to The Sun, a publication based out of The UK, TripAdvisor is in the business of using fake reviews to drive interest in the listings on their side. In fact, The Sun says that 1 in 3 reviews on TripAdvisor are fake. To compound that even more, the study says that a whopping 41.9% of reviews for B&B type vacation rentals are absolute fakery. In TripAdvisor’s defense, they say the article mentioned above is absolute BS. But me, I’m saying not so fast TripAdvisor. Usually when one smells a rat, there is indeed a rat that was smelled. I would not be surprised at all if this is true. This is just another testament to what I’ve been saying all along. Guests should deal with the owners directly instead of using these big aggregate sites. How do you find the owners? It’s easy! I’ll give you an example. Let’s say I want to stay in at Toledo Bend Lake. 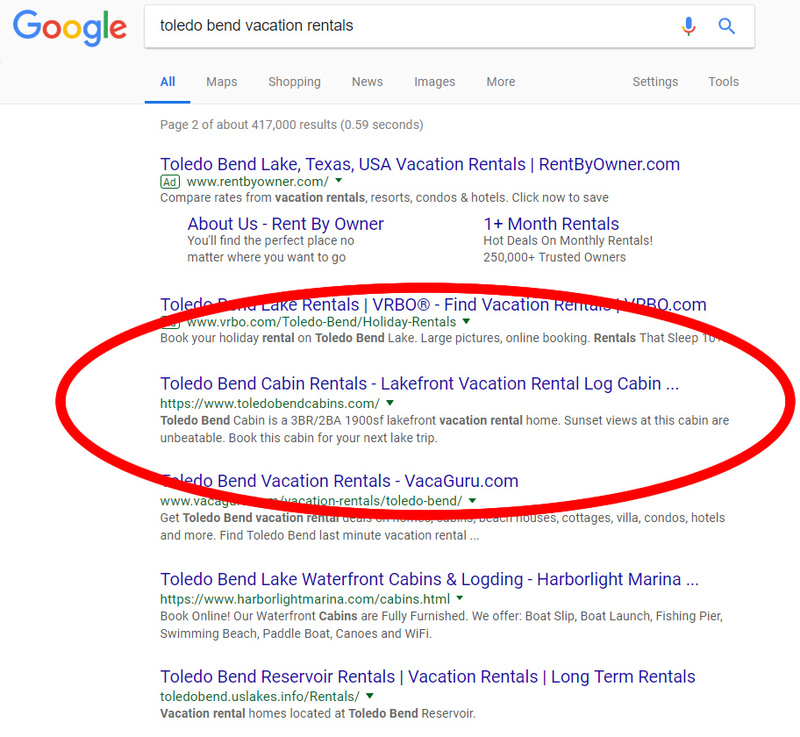 Search on Google for “Toledo Bend Vacation Rentals”. Don’t be afraid to click to page 2, 3, and so on to get to the owners. 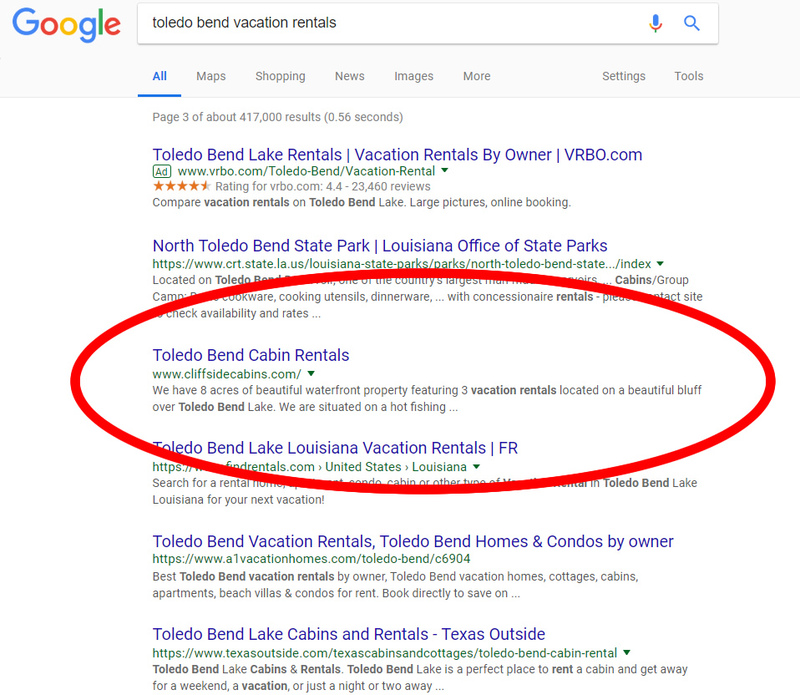 Look what I found on page 2, a place that calls themselves “Toledo Bend Cabins” (that’s me). Dial the phone, the owner picks up. How cool is that!? On page three I found a place that calls themselves “Cliffside Cabins”. These are private owners. Call them. You won’t have to deal with aggregates like TripAdvisor and VRBO. Folks, for the best experience, this is how you search for a place to stay. Stay off those aggregator sites like TripAdvisor, VRBO, and Homeaway.